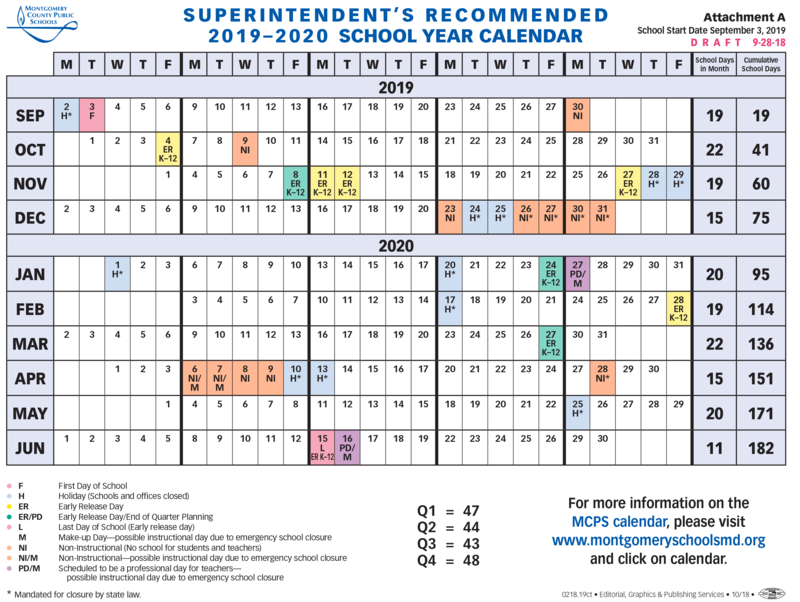 MCPS Announces Dates of 2019-2020 School Year! The Board of Education has approved the start and end dates for the 2019-2020 school year: Tuesday, September 3, 2019 through Monday, June 15, 2020. The calendar includes 182 days of instruction with a 10-day spring break week.